Comments Off on College of Management is Hiring…Apply for Student Leadership positions TODAY! College of Management is Hiring…Apply for Student Leadership positions TODAY! Applications for the CM Ambassador, TRAIL Mentor, and Peer LEADer positions are posted on the CM Undergraduate Blog on the Student Leadership Opportunities page. All applications are due Thursday, May 5th by 11:45pm. Come to the Crew Boston: Women in Real Estate event tonight! Interested to learn more about a career in Real Estate? Come and learn and network with some of the top women in Boston Real Estate at the CREW Boston: Women in Real Estate MAP event tonight. Kristin Gowdy joined The Northbridge Companies, a senior housing owner, operator and developer, in 2012. As Portfolio Manager, Kristin’s responsibilities include portfolio and property level analytics, equity and debt analysis and placement, and managing the due diligence and development processes. Kristin has 17 years of experience in financial analysis, including 10 years related directly to commercial real estate. Prior to joining Northbridge, Kristin worked as a Senior Financial Analyst for RMA, McMorgan, and Urdang Capital Management and has closed over $600 million in transactions. Kristin earned a B.A. from the University of Massachusetts at Amherst and an M.B.A. from Boston College. A University of Massachusetts-Amherst Isenberg School of Management alum, Kim Kingston, Esq. leads business development activities for Consulting Engineering Services, Inc. (CES) a leading mechanical, electrical and plumbing engineering firm with offices in MA, CT, NY and FL. A licensed attorney, Kingston has 25+ years of A/E/C industry related experience, including site development, project management, marketing and business development. Prior to CES, she served as the director of business development and marketing at Howard/Stein-Hudson Associates, Inc. of Boston, business development manager at VHB and property manager for Sprint PCS. Linda MacLeod Fannon is the design and management lead for corporate, retail and hospitality clients and programs at Elkus Manfredi Architects. Her projects range from 10,000 to 800,000 sf. She is also responsible for full architectural services, internal and external team leadership, and project, fee and construction budget management. Our apologies – a blog post went out in error this week mentioning an Employer Networking Night. This event was actually cancelled earlier this semester. Our apologies for misinformation. Graduating seniors may have received an invitation to the Ace that Interview Event happening on Thursday, April 28th at 6pm hosted by the Office of Alumni Relations. If you have quesitons about the Ace that Interview Event, we recommend emailing alumni@umb.edu or calling the Office of Alumni Relations at 617-287-5330. The Office of Career Services and Internships is hosting the UMass Boston Professional Etiquette Dinner today from 4pm-6pm. A few spaces have opened up and so if you are interested in attending, please visit the Office of Career Services and Internships in the CC-1-1300. Available spots for the UMass Boston Professional Etiquette Dinner will be given on a first come, first serve basis, so visit the Office of Career Services and Internships as soon as possible! Participation in this event is worth 1 MAP mile. Questions can be directed to the Office of Career Services and Internships at (617) 287-5519. Here are the MAP events for the week of April 10, 2016. 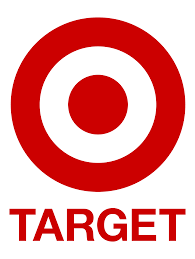 Target has given the College of Management a $3000 grant that is to be used for students to access leadership experiences. Is there a conference, training, or special opportunity to further your leadership and professional development that you want to attend this spring or summer? Fill out the application to be considered for the grant. Student’s with exceptional applications and requests to attend leadership development opportunities could be eligible for a grant to cover expenses associated with the leadership experience. The amount of money per person would range up to $500-600 dollars depending on the amount of expenses for the leadership experiences and the number of qualified applications received. Examples of the various types of expenses this grant could cover include registration fees or transportation costs. Due to the nature of this funding, meals and food expenses cannot be covered by this grant. Please submit your application by Friday, April 22nd at noon to be considered for this grant. Here are the MAP Events for the week of April 3, 2016.